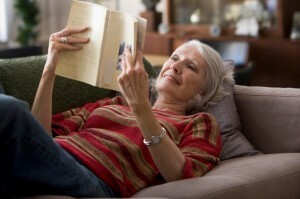 Aging can be hard, but it doesn't have to be. And we're here to help make it as easy as possible. 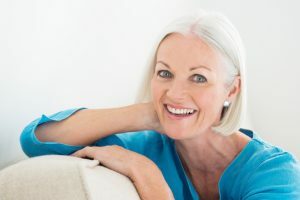 This section of the NorthStar blog contains information on aging and anti-aging tips, including the latest anti-aging breakthroughs. You’ve got basic anti-aging steps down. You eat well, watch your sugar, and drink plenty of water. Exercise and moisturizer? Check and check! And you always wash your face before bed. All of which means one thing: you’re ready to take it to the next level. It’s time to add specific, targeted anti-aging vitamins to your beauty routine. And we’re here to help. Sure, vitamin E and vitamin C are great for your skin, but you’re probably getting enough of those in your diet. Since you’re looking to take your anti-aging up a notch, you need to look beyond the obvious. 1. Vitamin A. Just because vitamins E and C are obvious doesn’t mean all the alphabet vitamins are. Most people don’t give a second thought to vitamin A, and that’s a shame because it’s a powerful anti-aging supplement. It actually helps skin cells keep working the way they did when you were younger, so you keep looking the way you did when you were younger. And just as importantly, vitamin A helps prevent the breakdown of collagen, keeping your skin firm and supple. 2. L-Hydroxproline. Speaking of collagen support, for taut, tight skin, L-Hydroxproline is the anti-aging supplement you’ve been looking for. Animal studies show that it helps increase skin moisture, while supplying the building blocks of collagen. This one-two punch protects elasticity and firmness, all in one. 3. Milk thistle. In order to truly defy time, it’s not enough to just work on the surface. You need to address the issue of toxin build-up throughout your whole body. And this is where milk thistle comes into play. This lovely purple plant helps the liver detoxify the body, leaving you with gorgeous, smooth skin. Fewer spots, dark circles, and blemishes – all because your body is processing toxins better. 4. L-Glutathione. While you’re thinking about detoxing, go ahead and add L-Glutathione as a morning supplement. 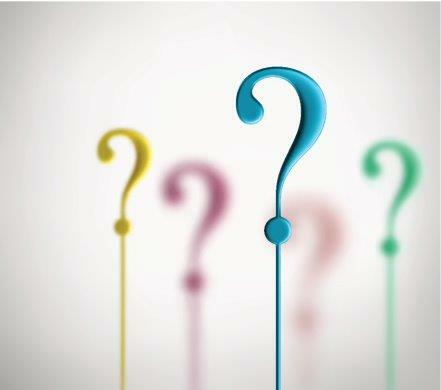 It’s believed that spots, circles, and dullness very well may be related to long-term toxin buildup over the years. And as diligent as you are about your anti-aging routine, if your body isn’t detoxifying, you will look older than your years. But that’s not the only reason to take L-Glutathione. This amino acid is also a powerful antioxidant that helps reduce and even repair oxidative damage. That’s right – you could stop, or even reverse, signs of aging. 5. Magnesium. Give the L-Glutathione some backup and support with magnesium. See, having enough magnesium in your system is what allows your body to process the L-Glutathione most efficiently. However, magnesium is also known as a free radical scavenger, so you know it’s a powerhouse antioxidant. And we’re still not done. Preliminary research is indicating that this anti-aging supplement may be influential in helping cells replicate, so skin cells look younger and healthier, longer. 6. Casein decapeptide. Peptides are the leading edge when it comes to anti-aging supplements, but this particular amino acid peptide has another benefit as well. It addresses as aspect of beauty that most people disregard – beauty sleep and stress. Not getting a decent night’s sleep can make you stressed. Being stressed can keep you up at night. It’s a vicious cycle that will take its toll on your skin. Or – you can decrease daily stress at the hormonal level, with casein decapeptide. It’s like drinking a glass of warm milk before bed. You relax, get a good night’s sleep, and wake feeling refreshed. And your skin shows it. The easier way to work these six anti-aging supplements into your daily beauty routine is to simple find them all, in the right amounts, in Lumivella. Our specially formulated anti-aging supplement that gives you all the benefits of these six supplements, all in two capsules every evening. You’re ready to take your beauty routine to the next level. 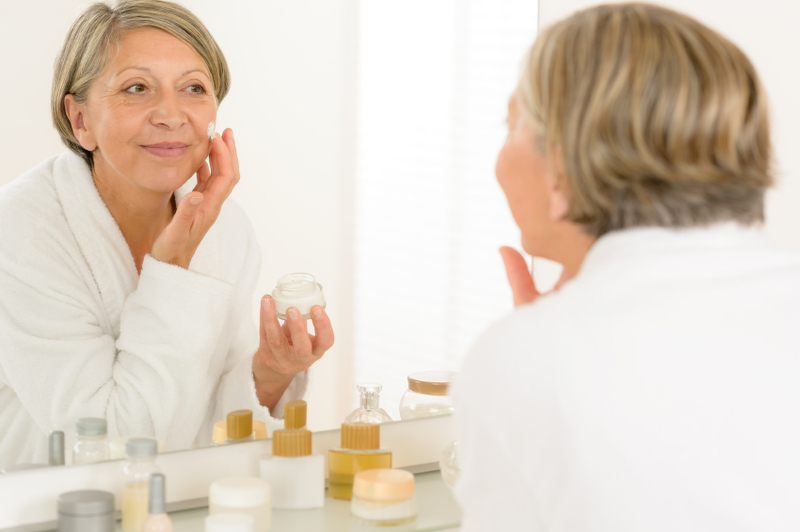 You’re ready to see all the benefits of these six anti-aging supplements when you look in the mirror. So why make it harder than it needs to be? Be ready for beauty to be easy – with Lumivella. Let’s be honest – aging really does have its benefits. Confidence, wisdom, self-awareness… there are a lot of good things that come with being around for a while. Wrinkles and saggy skin, however, don’t happen to be on that list. After all, you don’t necessarily want to look like you’ve been around a while. So put all that hard-earned wisdom to good use and fight back against the signs of aging with these natural remedies for wrinkles! Think about natural remedies for wrinkles in three categories: behaviors, what to put on your body, and what to put in your body. Pull at least one – or more! – from each category and you’ll love the results. 1. Stay out of the sun. By now you know that sun exposure as a teenager can lead to skin damage that shows up when you’re an adult. But that doesn’t mean that you’re exempt from taking precautions now. Since sun damage is cumulative, every unprotected day at the beach or the ski slope increases the damage that’s been building your whole life. The easiest, most effective natural remedy for wrinkles is a hat with a brim. Combine it with long sleeves or a shade umbrella and your skin will thank you. 2. Clean carefully. 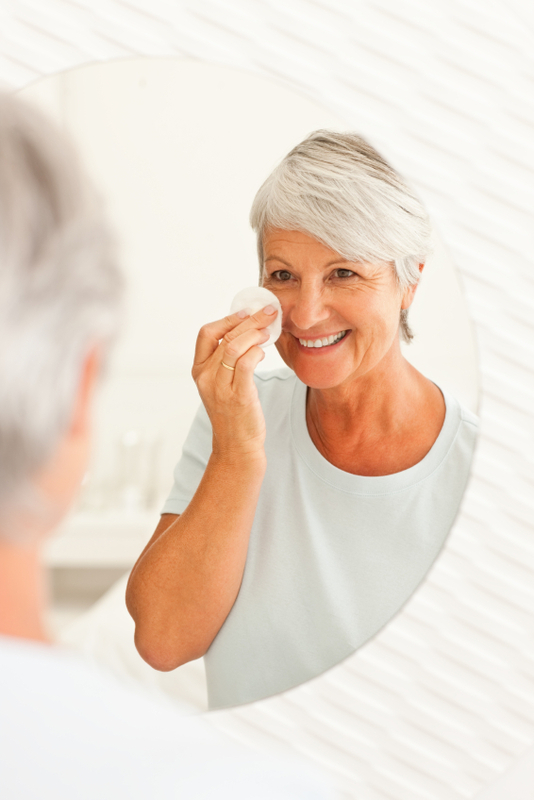 It makes sense to think that keeping your face and skin clean is important to combating wrinkles. After all, preventing wrinkles is easier when skin is healthy, and clean skin is healthy skin, so… However, over cleaning your skin can actually be causing wrinkles. First, tap water strips the skin of natural oils that help keep your skin soft, supple, and wrinkle-free. So if you’re washing too often, you’re rinsing away the very oils your body produces to protect you. Then, soap can do the exact same thing and may dry your skin further. Use a cleanser that includes a moisturizer and then be sure to only wash twice a day. 3. Get enough sleep. This one is an often overlooked natural remedy for wrinkles, but that doesn’t make it unimportant. Never underestimate the power of a good night’s rest. Sleep works on your wrinkles two ways. First, if you don’t get enough sleep, your body produces a hormone that actually breaks down skin cells. Luckily, though, when you do get enough sleep, your body produces a hormone that keeps skin healthy, elastic, and smooth. Which makes it an easy choice, no matter how busy you are. 4. Rub them away. 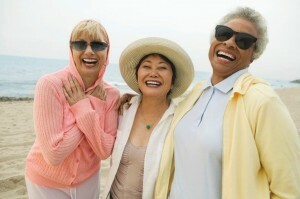 Gentle massage can be effective when it comes to minimizing and preventing wrinkles. Start between your eyes, then move to your temples, and finish up at your jaw. This helps relax the muscles, making current wrinkles less obvious and may even help prevent new ones. You don’t have to choose moisturizers from the drug store that have chemicals and ingredients you can’t even pronounce. Instead, turn to your kitchen. 6. Bananas. And orange juice and yogurt. Mash up a banana, a teaspoon of orange juice, and a teaspoon of plain yogurt to create a mask. Keep it on for 15-20 minutes then rinse. Not only will it help with wrinkles because of its moisturizing properties, but it also helps fade dark spots. 7. Cucumber-yogurt. And if you happen to have some mint leaves, throw those in for good measure and puree it all. The cucumber has more than a dozen vitamins and minerals that help prevent wrinkles, protect skin, and neutralize the free radicals that can cause further damage. 8. Egg whites. Don’t shy away from this natural remedy for wrinkles – it’s sticky, but it’s effective! Combine the white of an egg with a teaspoon of lemon and half a teaspoon of honey. This combination helps tighten skin, as well as moisturizing and promoting cell repair! 9. Lemon honey. If you just can’t bring yourself to put egg whites on your face, the lemon honey blend works alone, too. Combine the two ingredients and leave them on for ten minutes. The lemon boosts collagen production, and the honey helps moisturize. 10. Oils. It may seem counterproductive to put oil on your face, but when it’s olive oil or coconut oil, it’s the right move. Both of these are powerful natural remedies for wrinkles because they moisturize and fight free radicals. Massage one or the other in at night before bed for best results. Reducing wrinkles isn’t just about what you put on your skin. 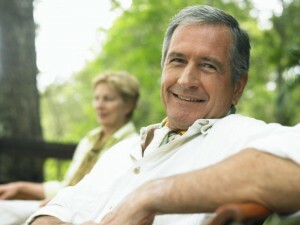 You can fight aging from the inside out, as well. 11. Omega-3s. Save some of the olive oil to cook with, too! The omega-3 fatty acids found in olive oil, fatty fish, and nuts and seeds nourish the skin, keeping it plump, and reducing wrinkles. 12. Fresh fruits and vegetables. 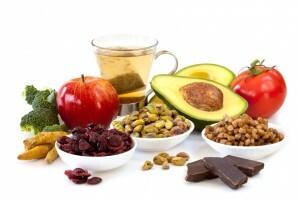 The importance of antioxidants as natural remedies for wrinkles cannot be overstated. They protect your skin from free radical attack, which helps keeps skin glowing, smooth, and all-around healthier. And some of the best sources of antioxidants are fresh fruits and vegetables. Stock up and dig in. It’s that easy. 13. Take the right supplements. Vitamins, minerals, protein, amino acids…they can all play a role in your skin’s health. So you can take a handful of pills and hope you’re taking the ones that will actually work as a natural remedy for wrinkles, or you can take a supplement that is especially designed to work with your body to fight back against wrinkles, discoloration, and other signs of premature aging – Lumivella. Whichever route you choose, though, supplements to shore up any dietary gaps can be key to looking your very best. You don’t have to resort to expensive department store products or harsh chemical procedures. And you certainly don’t have to live with every wrinkle you see. Not with these natural remedies for wrinkles. Because being around for a long time may have its benefits, sure, but you don’t have to look like it! While you don’t need to pretend you’re still 21 any longer, you would like to find a way to prevent wrinkles and hold back the hands of time a little bit. After all, it’s one thing to look really good for your age – it’s another to look old. But you can prevent them and look your best, no matter what age you are. Lumivella Didn’t Work. What Should I Do Now? 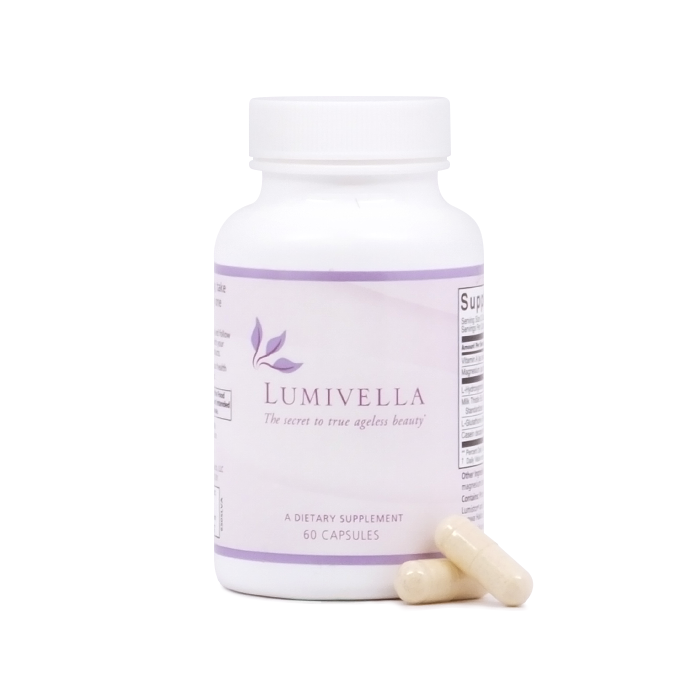 You were so excited to try our breakthrough anti-aging supplement, Lumivella – but Lumivella didn’t work for you. There is very little more disappointing than being excited about something new and then have it not live up to its expectations. 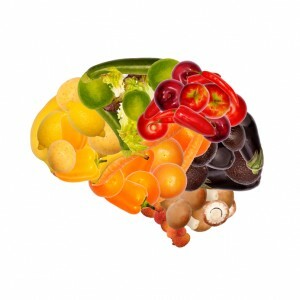 The Alzheimer’s Diet: Can You Prevent Alzheimer’s Disease With Food? Add to that the fact that approximately 5.3 million Americans have Alzheimer’s, and it becomes a scary disease. If there really is such a thing as an Alzheimer’s diet, you want to know about it. But how reliable are the reports of an Alzheimer’s diet? And if it exists, how complicated or hard to follow is it? You’ve got questions – but I’ve got answers. 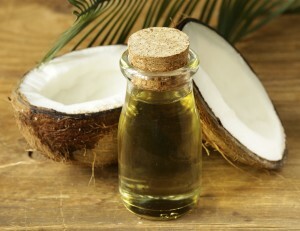 The Health Benefits of Coconut Oil: Is It Really All That Healthy? The health benefits of coconut oil are all over the news these days. People are raving about it. Except for the people who aren’t – who are saying that the risks outweigh the benefits of coconut oil. So which is it? Does coconut oil belong in your diet? Or doesn’t it? Sometimes, it’s hard to tell the difference between reality and spin. So, in this article, we’ll do just that. Most women know what a healthy diet looks like when they’re young – but not as many know what a post-menopause diet should look like. 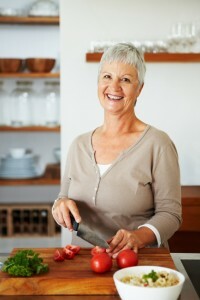 Or even that your diet should change post menopause. But it makes sense once you think about it. 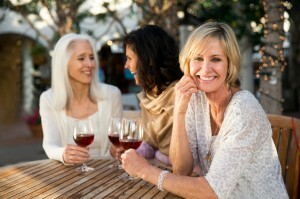 Everything changes post menopause. So why shouldn't your dietary needs change, too? Luckily, a healthy post-menopause diet doesn't look much different from the healthy diet you've been eating up until now. As you may or may not know, the US government releases new nutritional guidelines every 5 years. But they can be confusing. 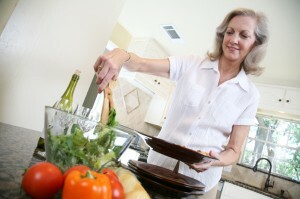 We don’t happen to think that nutrition for seniors changes that much, or that often. And honestly, nutrition for older adults isn't that different from healthy nutrition for anyone. So why make it more complicated than it needs to be? Children fall every day. Sometimes, it seems like they’re made of rubber. They fall down, scrape a knee or an elbow, jump right back up again, and keep moving. But it’s no longer easy…as you age, things change. 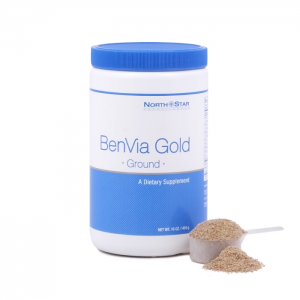 You've probably heard of BenVia Gold chia seeds by now, so you know what a nutritional powerhouse they are. But while people talk a lot about how good chia seeds are for you, and how you important they are in your diet, not many people talk about how to eat chia seeds. You've read healthy eating tips everywhere. You've heard all the fad diets – cutting carbs, eliminating fats, and the rest of the lot. And you've seen the “miracles” revealed on TV – only to find out they don’t work…or they cost an arm and a leg. All designed to work for people in their 20s. But your dietary needs are different. 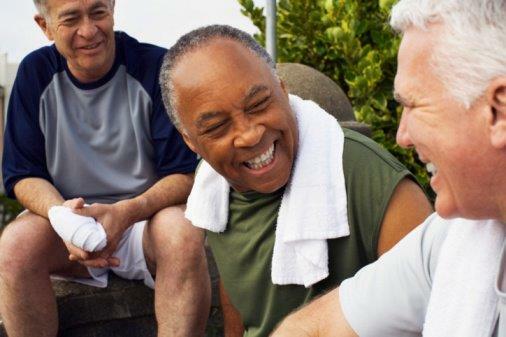 As you age, your caloric needs decrease, but your nutritional needs don’t. Finding the balance between a healthy diet and the right amount of food can be a challenge. If you have digestive problems, you've probably been told that the probiotics in yogurt will help ease your discomfort. And, they’re right. Yogurt can be great for easing digestive issues. After all, it does have probiotics which help clean out your gut. But for some people the dream of finally relieving digestive pain becomes a nightmare practically overnight. If you've made a resolution to look better, feel better, to be better in 2015, then you’re going to want to start with diet – and that means loading up on these anti-aging superfoods! These are the best foods to eat in 2015, to get healthier, feel better, and look younger. You should probably load up on these now, before everyone else jumps on the superfood bandwagon. What Are Chia Seeds? The Ultimate Superfood or Just Another Fad? You've probably heard of chia seeds. Read some articles praising their nutritional value. And maybe you aren't ready to give in to the hype yet. Given all the fads and scams out there, I don’t blame you. It’s understandable if you’re a little skeptical about chia seeds. After all, is anything really a perfect food? 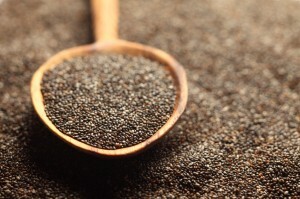 In this article you’ll discover the truth about chia seeds. Not just what they are, but why is everybody raving about them these days and what – if any – benefit they have. 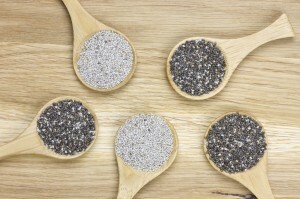 Where is the Best Place to Buy Chia Seeds? It seems you can buy chia just about anywhere these days – from health food stores, and warehouse stores, to your local grocery store. As chia has become more popular, its availability has skyrocketed as well. But you’re probably wondering whether you can trust every online store offering “pure chia,” and which brands are the best to buy. With so many places offering chia, it’s a tough question to answer – especially if you don’t know exactly what to look for. We don’t think much about when we’re younger, but as those years add up, it becomes a bigger issue. After all, you feel bad calling your children and grandchildren to help you out around the house. You don’t want some stranger coming over to take care of you. And you haven’t even considered moving out to one of those assisted living facilities. Independence means choosing where you live, how you live. It means continuing to make decisions for yourself, rather than have someone else making them for you. It means being able to stay safe in your own home. Just because you’re getting older, doesn't make you any less of a man. In fact, in some ways, you’re feeling stronger and more confident than ever. So you’re looking for the best supplements, specially formulated for men, to keep you feeling as good as you felt years ago. What Are the Best Supplements for Women? 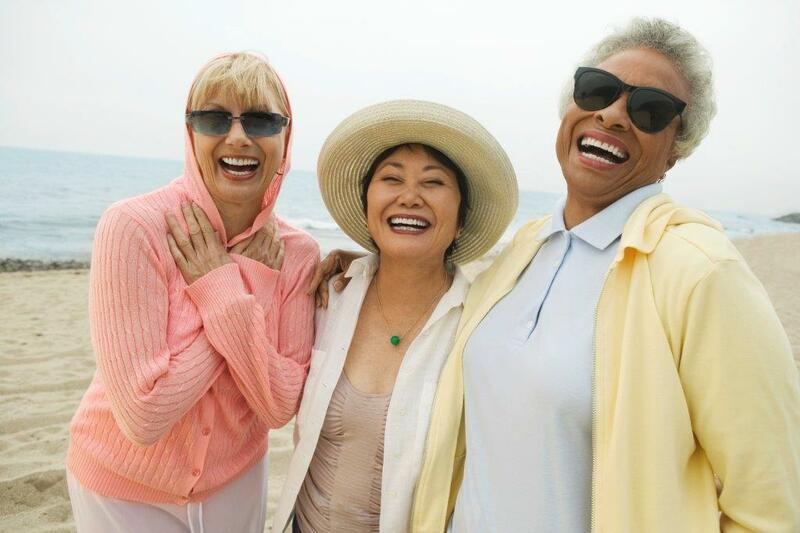 While it’s true that everyone, men and women, should take care of their hearts, their cholesterol, their eyesight, it’s also true that, sometimes, it’s nice to have a supplement developed specifically with women in mind. Whenever people talk about your health, they throw around words like “antioxidants” “free radicals” “oxidative stress” and “oxidative damage.” And that’s all fine and good, assuming you know what those words mean. For years, you were probably taught that wrinkles, age spots, failing vision, , were all an inevitable part of getting older. Sure, they’re more likely to occur after you reach “a certain age” but they are not inevitable… in spite of what you may have learned. Those “inevitable” signs of aging are actually caused by oxidative damage. Not old age, at all.